Black Friday is still more than a week away, but that's not stopping retailers rolling-out some truly astonishing deals. 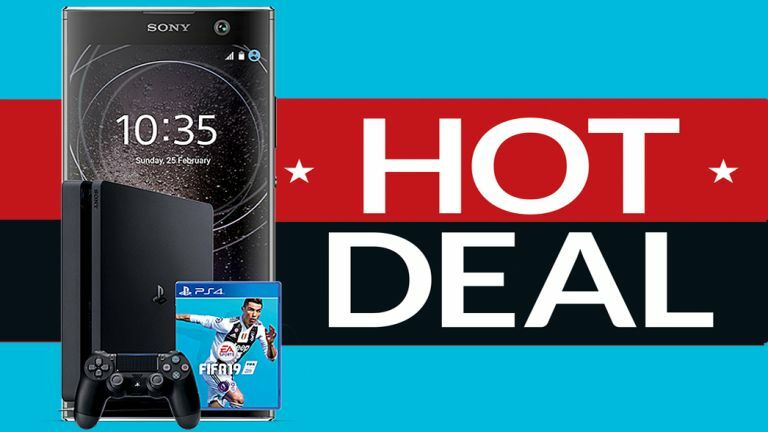 The latest blockbuster bargain comes courtesy of Virgin Mobile, which is handing out free PlayStation 4 and FIFA 19 console bundles worth around £250 with select Sony handsets on the network. One of those handsets is the trusty Sony Xperia XA2 – a solid mid-range handset with a 23MP rear-mounted camera capable of shooting 4K video footage, as well as 120fps slow motion clips, too. On the front, there's a 8MP super wide-angle selfie camera to fit in as many grinning faces as possible. The handset, which has a 5.2-inch 1080p display, is powered by a Snapdragon 630 chipset and 3GB of RAM. This is already a great smartphone, but the fact that Virgin Mobile is throwing in a Sony PS4 and one of the most sought-after titles on the console is a truly astonishing sweetener. Needless to say, this is an ideal deal for anyone who has yet to take the plunge on a next-generation console, or who wants to bag a free Christmas present for a close relative or friend. Virgin Mobile monthly contracts for the Sony Xperia start from £19 a month with no upfront fee and include the Playstation 4 and FIFA 19 bundle – worth around £249. Elsewhere, you'll get 1,000 minutes, unlimited text messages, and 1GB of 4G data. If you're worried that might not be enough data to keep you ticking along each month, it's worth noting that messages, images and videos sent and received via WhatsApp, Facebook Messenger and Twitter are not counted towards your monthly allowance. Virgin Mobile also offers data rollover on its contracts, so those who are frequently connected to Wi-Fi will get to keep any unused data for future months. It's important to note with this new deal that you'll be tied into a three-year contract. The monthly cost increases to £25.50 a month for those who only want to commit to a 24-month contract. This epic deal is available from November 13 until December 4, 2018. Virgin Mobile is offering up a great bundle deal here. Not only are you getting the Sony Xperia XA2, but you'll also get your hands on a brand-new PlayStation 4 with FIFA 19 as well, which would normally be worth around £250. That's an astonishing Black Friday freebie.